A few of you have already been wondering whether or not there will be another Literature and War Readalong. As you can see, there will be another one, but, like last year, it will be a mini-edition, although I included one book more. Storm Warning explores the echoes and aftershocks of human conflict in a series of powerful stories in which the characters are tested, sometimes to breaking point. Gebbie pulls no punches, exploring the after-effects of atrocity and sometimes, the seeds of atrocity itself. Captain Cleve Connell arrives in Korea with a single goal: to become an ace, one of that elite fraternity of jet pilots who have downed five MIGs. But as his fellow airmen rack up kill after kill – sometimes under dubious circumstances – Cleve’s luck runs bad. Other pilots question his guts. Cleve comes to question himself. And then in one icy instant 40,000 feet above the Yalu River, his luck changes forever. Filled with courage and despair, eerie beauty and corrosive rivalry, James Salter’s luminous first novel is a landmark masterpiece in the literature of war. Nineteen-year-old Billy Lynn is home from Iraq. And he’s a hero. Billy and the rest of Bravo Company were filmed defeating Iraqi insurgents in a ferocious firefight. Now Bravo’s three minutes of extreme bravery is a YouTube sensation and the Bush Administration has sent them on a nationwide Victory Tour. During the final hours of the tour Billy will mix with the rich and powerful, endure the politics and praise of his fellow Americans – and fall in love. He’ll face hard truths about life and death, family and friendship, honour and duty. Tomorrow he must go back to war. Five books from four countries, covering four different wars. The books are all rather short and quite diverse. 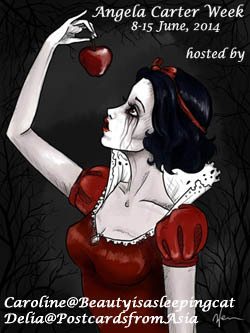 For the first time, I have included a collection of short stories. And I included the first novel on the war in Korea. As always, I hope that many of you will feel tempted to join me. I was looking forward to this post, Caroline 🙂 So glad to know that the Literature and War readalong will be on this year. The first two books are very appealing because of their size 🙂 I also love the looks of ‘All for Nothing’ – I always love a German war novel. Looking forward to participating in the readalong this year. This is so wonderful! What is the timeline for reading All for Nothing? I have to get my hands on it—but after The Door, I’m desperate for something else to read. I guess it will be too late for you since you’d like to read it soon -it’s in November. That doesn’t mean you can’t join the discussion. It’s not easy to pick a book after having read a novel that impressed you so much. Have you read Helen Dunmore? The Siege is harrowing but amazing. You know what’s funny – the blogger who mentioned The Door first and who had it a few years ago on his “best of list” was the same who wrote about Kempowski. Here’s his blog http://acommonreader.org It’s possible you have th same taste. Dur—I totally was not paying enough attention. November works. I will check out The Siege. And thanks for the blog tip. So then, until November for All for Nothing. 🙂 So great that you’ll read with us. Tell me what you think of The Siege. As usual the selection of books looks to be very worthy. I will try to join in for at least one or two during the course of the year. Happy New Year! Here’s to another year of great books! That’s so great. I’m looking forward to the discussions. I have the first and fifth in the TBR. I’ll join you for those. That’s great. Vanessa Gebbie’s collection looks really interesting. Looks like a good selection. 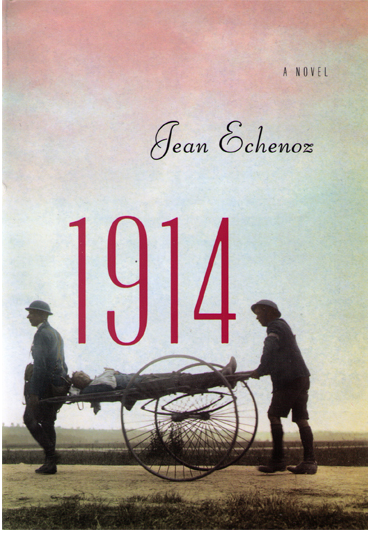 I’ve read 1914 which I loved. I also have All for Nothing but I’m planning to read it this month. 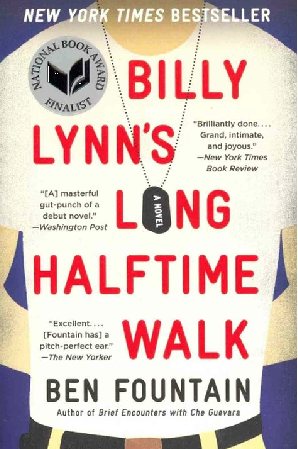 Billy Lynn’s Long Half-time Walk is on my Kindle, though, so hopefully I remember to join in with that! Thanks and Im so glad to hear that you liked 1914. I hope you’ll join me with Billy Long. I was tempted to start the Kempowski right now but it’s seemed such a great read along choice. I haven’t been getting e-mail notifications of blog posts again. I bought All for Nothing about a week ago. It sounds excellent. It does sound excellent and I have a hard time not picking it up right now. It’s weird with those notifications sometimes. Thanks, Kailana. Maybe this year. 🙂 I sometimes struggle to be on time myself. I have resolved not to take on many challenges this year, German lit month notwithstanding. But I did eye 1914 when it was on the BTBA list last year. I am even more intrigued now and believe I have seen it around town. So if I can get to it by March I might just pop in for that one! That would be so great. It looks like a very interesting WWI novel. 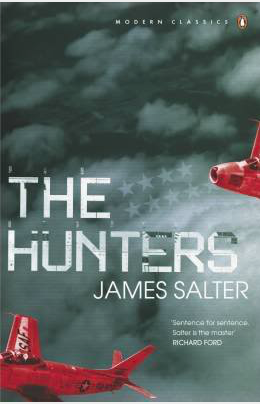 I loved James Salter’s The Hunters. He’s probably one of my favourite writers (I have two or three of his other books in my TBR and am trying to ration them.) Have you read him before? No, I haven’t but I wanted to try him for ages. 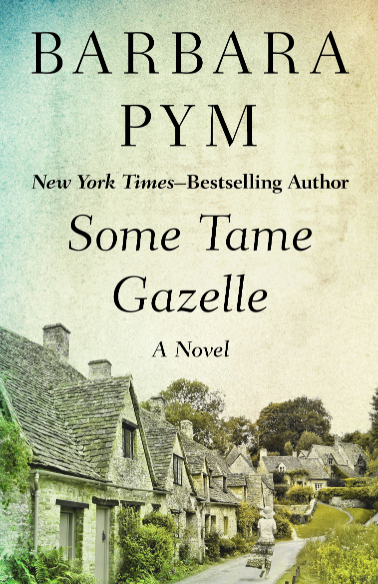 For weird reasons I always mixed him up with Richard Yates. Btw – I struggled with Revolutionary Road for 100 pages and then I loved it. I’m already reading Easter Parade and have Cold Spring Harbor at hand. I expect to love Salter as well since you like Yates so much as well. Oh, I’m so glad you clicked with Revolutionary Road in the end! Sometimes it just takes a little while to get into the rhythm of a book, especially if the author is new to you. Looking forward to seeing your reviews of Yates’ work. I’m pretty sure you’ll take to Salter as well. His prose is wonderful, quite luminous at times. I don’t know why it took me so long. But I’m glad I continued and looking forward to reading more of his books. 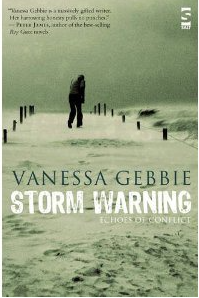 I am pleased that the readalong is back for another year and was delighted to see Vanessa Gebbie’s Storm Warning as the first book for us to read. I should declare an interest as Vanessa and I know each other in real life as fellow writers and I think her work is compelling reading. ‘All for Nothing’ and ‘1914’ are also on my list of TBR. Really, you know Vanessa, now that makes it even more special. I’ve visited her site and she seems so likable. And I also have the book on writing she edited. I’m very glad you’ll be joining again. That’s so great, Deepika. I’m really looking forward to the discussions. Happy New Year. I have read and admired ‘Billy Lynn’s Long Half-Time Walk’ and ‘1914’. 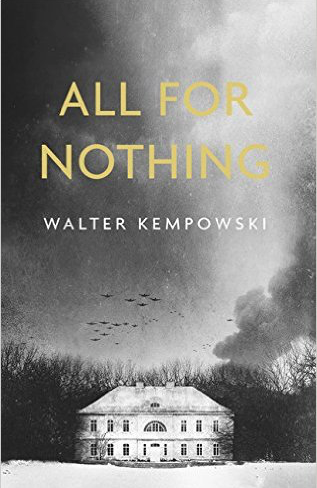 I absolutely want to read Walter Kempowski’s ‘All for Nothing’ although it does not appear to be available in the US yet. I’m glad to hear you liked both books. I wasn’t on the fence whether to choose Billy Lynn or not. I’m glad I did. You could certainly get the Kempowski via the bookdepository. I’m another who loved James Salter’s The Hunters Caroline, so I hope you get on well with it and I look forward to your thoughts. Wonderful to know. Coming from you and Jacqui, that’ts really promising. I am so glad to put last year behind me now and am excited about a new reading year (and other things of course, too). I am optimistically going to try and read along this year and have ordered the first book (my library should have several of the others and several are books I had wanted to read in any case). I’m glad you are continuing on with this–something to look forward to and some really good choices I think! I’m quite pleased with the choices too. And they aren’t long books – well, with the exception of Kempowski but after Tom’s review (A Common Reader) I had to include it. And it’s wonderful you’re on board. I really missed reading along last year–I don’t know what happened really, but I am excited abut my reading now and am very much enjoying the books I have on the go at the moment–a good sign. Looking at the overall response, I think many people were just tired of the readalong. I too still feel like 12 books is too much of a committment but I wouldn’t want to let go of it. I’ll also rekindle my movie blog. It still has so many visitors and I think I owe them a bit. Looks like a great list, Caroline. I look forward to your reviews and the comments. Thanks, Carole. I’m looking forward to reading. A very interesting selection! I hope you enjoy the Klempowski which was one of my top three favourite books last year. It was your review that made me pick Kempowski. I should have mentioned that. I have been reading the books from WW1 recently as it is the Centennial of that war. So far have read 8 books…will add your selection of ” 1914″ to the list for this year. I focused on WWI books in 2014 and still have a few I bought then. 1914 got so many really great reviews. I hope you’ll like it. Let me know. Have you read the short story collection THe Great War: Stories Inspired by Items of the Great War? It looks terrific. Thank you so much for including Storm Warning in this year’s readalong list. I hope your readers find it thought-provoking at the very least, and I’d be more than happy to join in discussions if that would be useful? Anyway, as a thanks, I’d like to send you a copy of Memorandum: poems for the fallen, which is due out this spring. Could you email me? my name at gmail dot com. I’m so thrilled that you saw this and commented. I’d love to have you join the discussion. I’ll also write about it in my writer’s group. Many of them – who write very short fiction- are familiar with your name from The Rose Metal Press Flash Fiction Guide. I’m really looking foward to this and thank you so much for offering your cllection of poems. I’ll be in touch shortly. Thank you.